In today’s changing climate, many people are choosing succulents as the plant of choice for their gardens – both indoor and outdoor. And why wouldn’t you? They have a natural resistance to the ever increasing temperatures and drought and excess rain doesn’t really worry them too much. Of course, it is possible to plant succulents then leave them to their own devices and they will likely survive, but with a little love and care, they can become such beautiful and wondrous plants that really bring a sense of life to any room or garden. With so many different types of succulents available, you will never be starved for choice. So go out, buy a succulent (or 2, or 3, or more!) and start your garden today. 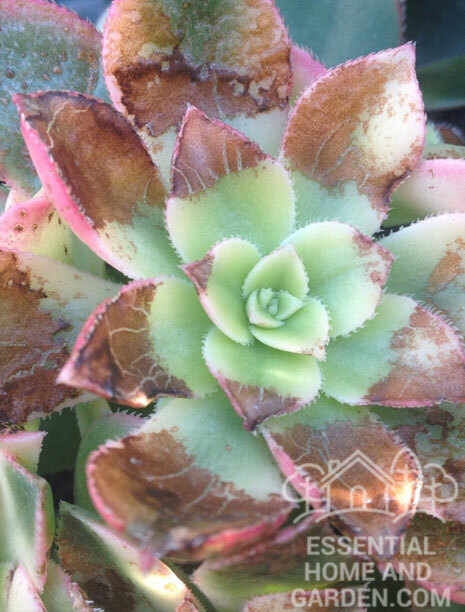 Follow these useful tips to ensure your succulents not only survive but thrive in your home. When it comes to where Succulents grow best, the answer is almost anywhere (with obvious exceptions). But if you want to make sure that you are in a suitable area for succulents to thrive then it is essential to use the USDA Hardiness Zone map to get more info on your growing zone. 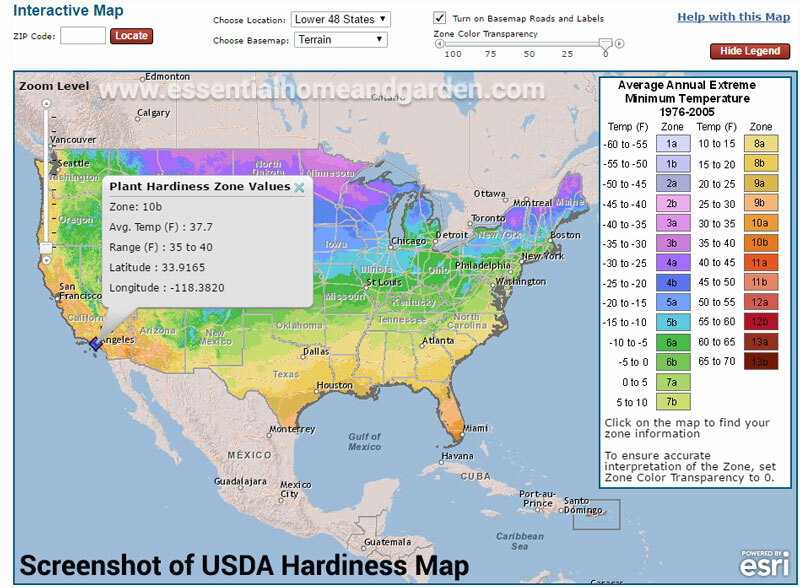 The hardiness zone map is an excellent tool for gardeners that gives them a quick reference point to check which plants will thrive in the area they live. To use the hardiness zone map, simply open the map site by clicking here, you can gen zoom into your location or simply type in your zip code at the top left of the map to see what zone you live in (see the example in the image). Most succulents are suited to hardy zone 3-9 (which is all but the most extreme areas of the USA). Always be sure to check the label on your succulent though before purchasing to ensure that it is suitable for your area. Most succulents thrive in direct sunlight and 6 hours of direct sunlight a day is ideal for most varieties. If you live in a hot area, then try and place your plants where there is shade for the hottest hours of the day in the afternoon. When growing succulents indoors, then placing them as close to a window as possible is best. Just make sure that they don’t get sunburned by the amplified light if the sun gets too hot through the window. 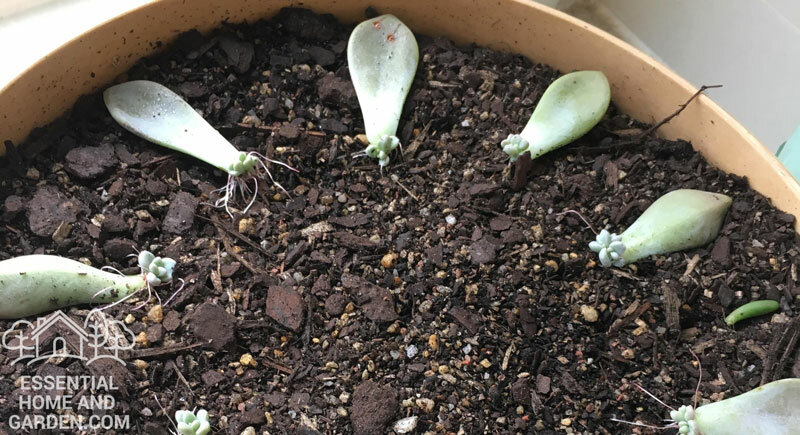 How will you know if your succulents are not getting enough light? 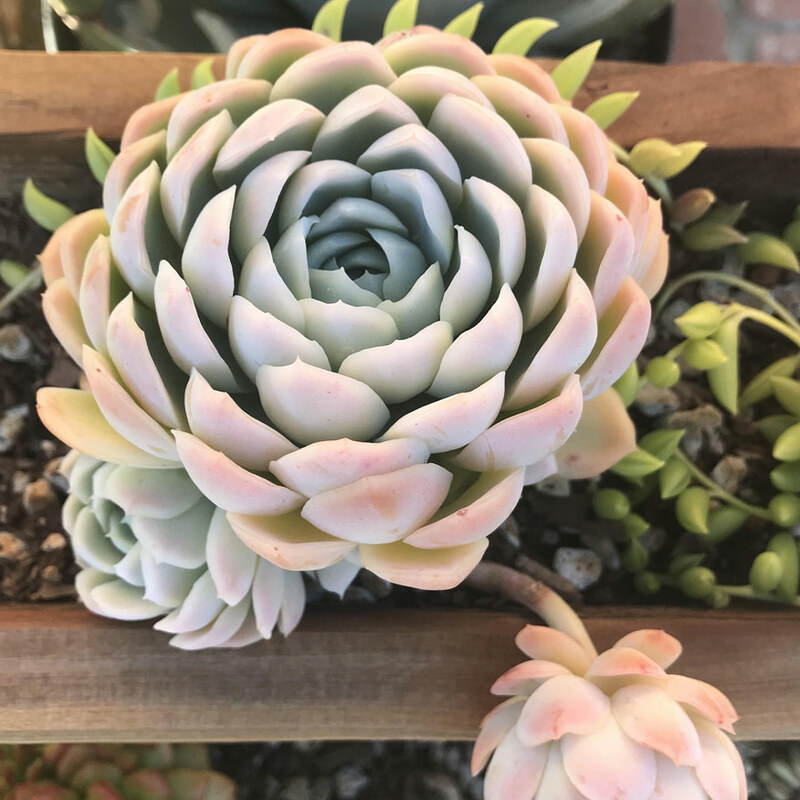 Look for your succulents starting to stretch and the colors may fade and lose the intensity of the original color. 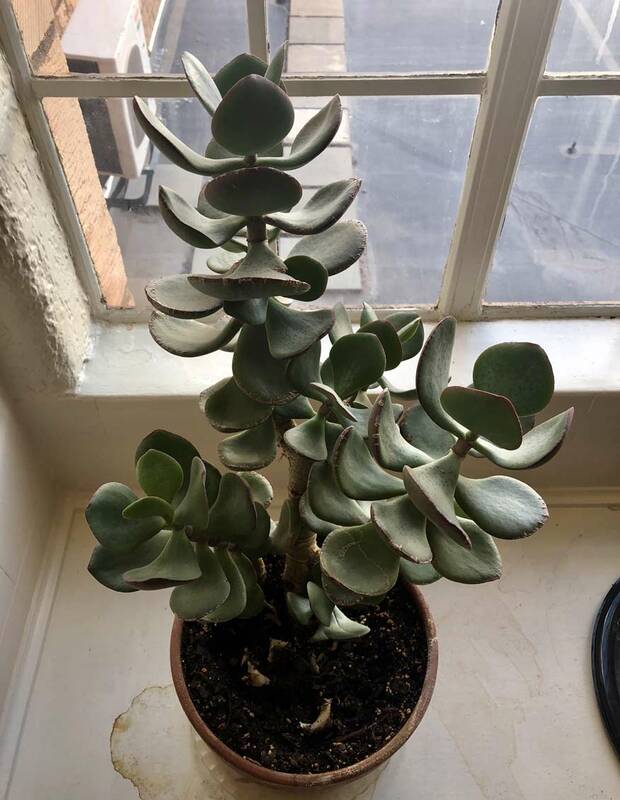 Succulent with not enough light. Keep in mind that even in low light conditions, succulents can live and grow fine. Although they may not look quite as pretty as they do in optimal light conditions. Succulents are a very versatile plant that can be planted in a variety of locations. Each type of garden is different so it is important to put some time into researching what succulents are suitable for your desired location. It is a good idea to talk to the staff at your local nursery and get their advice, but we have some generic advice we can give you here to get you started. If you have the right weather conditions, then the best place to plant succulents is outdoors in your garden. Choosing the right time of year to plant is important, Succulents are best planted in fall and spring. It is best to avoid planting in winter due to the cold temperatures. Location: Find somewhere in your garden that gets a fair bit of direct sunlight if possible but also some shade during the hottest hours of the day. Finding the right mix of sun and shade is important if you want your succulents to thrive. Prepare the Soil: Remove any weeds from the existing soil and break it up. Succulents require good drainage, and we can create this by mixing equal parts of sharp builders sand and a larger material such as the existing garden soil or a cactus potting mix. Planting and layout: Plant your succulents in a layout that suits your plant choice and garden style. This is a matter of doing some quick research yourself. Do NOT water your succulents yet! It is important to note that you should not mulch your garden with moist leaf litter, instead use pebbles or river stones. Watering: After 1 week has passed, you may water your plants. The reason we wait a week is to allow the roots to recover from the stress of being replanted and they also harden during this time. Water the soil until it is completely moist but not soaking. 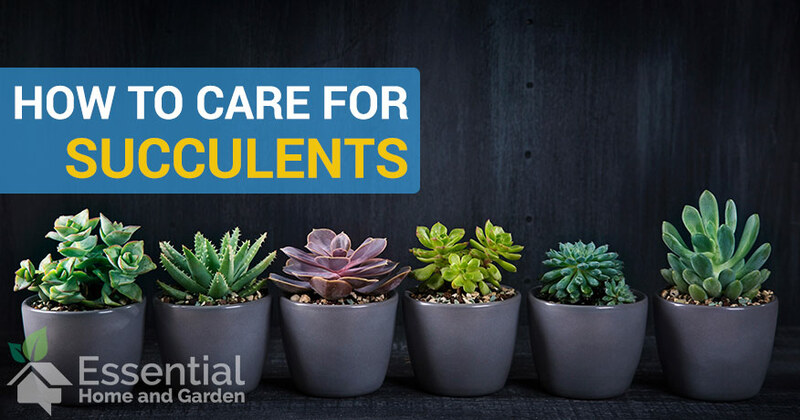 How frequently you water them from here depends on the type of succulents you have chosen, but generally you should water them 2 times a month during Spring and Summer, and once every second month in Autumn and Winter. Before watering your plants always check if they need it – if the soil is completely dry then it is time to water, if it is even a little moist then hold off on giving your succulents a drink. If you over water you will cause your plants to rot and die. Fertilize: Do so once in the spring and once in summer. A suitable fertilizer is a half strength phosphorous-rich standard houseplant fertilizer. Maintain: Keeping your garden free from weeds is an important part of how to care for succulents, so be vigilant with this! Succulents are great indoor plants and planting them in pots is common practice, they absolutely love growing in pots and there is no reason you should not take advantage of this fact! Location: Choose a spot that has plenty of natural light, just be careful that the plant is not going to get too hot if direct sun hits it through the window as it may get sunburned. Choose a pot: Choosing the right pot is quite important. The most important feature the pot must be drainable. As we have mentioned numerous times, succulents need excellent drainage so ensure your pot choice includes drainage holes. Prepare the soil: Remember that the key to a happy succulent is for the pot to be well drained. So we want to mix up roughly equal parts of sharp builders sand and a cactus potting mix. But before we add our mix to the pot, we want to add a half-inch layer of charcoal in the bottom of the pot. This will ensure that we have good drainage and water won’t get caught in the packed in soil at the bottom. Planting and Layout: Plant your succulents into your pot/container in a layout that suits your plant choice and garden style. Because succulents have small roots make sure you plant them as shallow as possible, with a whole just big enough to cover the root ball. It is important to do some some quick research yourself as to what layout suits your plant choice. Do NOT water your succulents yet! It is important to note that you should not mulch your garden with moist leaf litter, instead use pebbles or river stones. Water the soil until it is completely moist but not soaking. How frequently you water them from here depends on the type of succulents you have chosen, but generally you should water them 2 times a month during Spring and Summer, and once every second month in Autumn and Winter. Fertilize: Many people do not bother fertilizing indoor succulents, you can choose to do so if you like. Fertilize once in the spring and once in summer. A suitable fertilizer is a half strength phosphorous-rich standard houseplant fertilizer. Not Recommended: Getting Succulents to stay alive in terrariums can be quite difficult due to the humidity and often there is no drainage. Terrariums are all the rage at the moment, everyone wants their own little ecosystem in a pretty glass container in their house. Unfortunately, most succulents do not do well in terrariums, but we will provide some general tips to give you the best fighting chance. There are many DIY Terrarium Kits available if you want it to be as easy as possible, but if you want to design your own, then we have a few tips for you to follow. 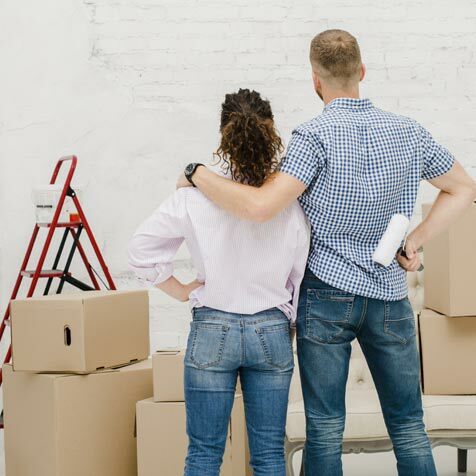 Choose a Terrarium: The first step is finding a terrarium that suits your style and is the right size, but most importantly it must have some drainage holes. Terrariums are a difficult environment for succulents due to the humidity to choose your Terrarium carefully. Pick one that will comfortably fit the plants you want in it, we do not want it to look overcrowded! Terrariums are available from your local nurseries or online. Create your soil: Terrariums are a bit different to your standard pots and garden beds, we we make up a special mix of soil. We recommend using equal parts Turface, small pine bark pieces and crushed rock. This mix creates a soil that has excellent drainage which is important. Place the soil in your terrarium to a a suitable level. Add your plants: Add your plants to the terrarium and plant them in the soil. Make sure you cover the roots properly. Watering: It is very easy to over-water succulents in Terrariums, so only water them when the soil feels completely dry and do so with a mist sprayer. Follow these straight to the point guides to ensure your succulents look their best. Succulents are basically water tanks. They take what water they need from the soil and store it in their stem and leaves for times when water may be scarce. So they do not need to be constantly watered – in fact it is bad for them. 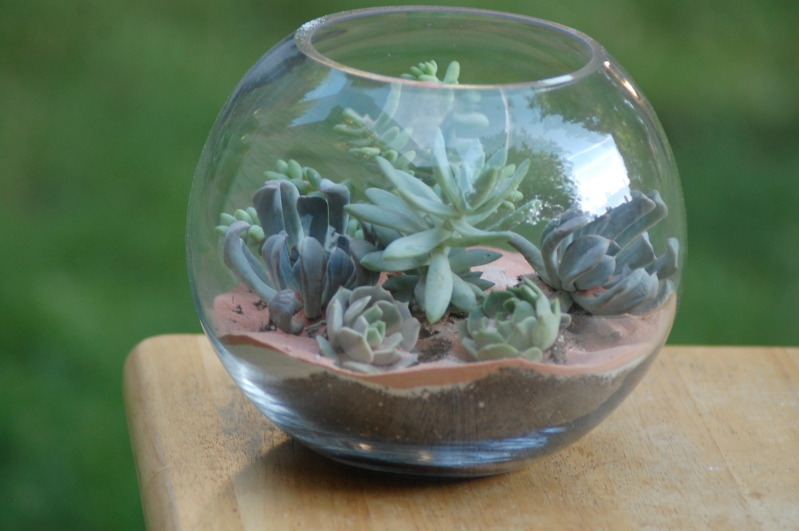 Make sure that they are in a well drained location as permanently wet soil will cause your succulent to rot and die. An important point of how to care for succulents, is to not water in winter. This will allow the soil to dry out enough even though the temperatures are colder. Get hold of a low-balanced soluble fertilizer (an 8-8-8 or a 10-10-10 is good) and disolve some into about 1 gallon of water. You probably do not want to use the recommended dose that the packet will tell you, about half the usual dose is fine for succulents. Slowly pour the mixed fertilizer and water on top your plants until the excess water starts to drain from the bottom of the container. Remember, that this counts as watering your plants, and do this only when the soil is completely dry. Succulents are very easy to propagate, and that’s great news because who doesn’t want a whole garden full of the beautiful plants! A succulent that is becoming too leggy is perfect to propagate from. Start by removing the lower leaves from your plant carefully. Hold the leaf between two fingers and move it from side to side until you feel the leave snap of. Make sure you get the entire leaf. 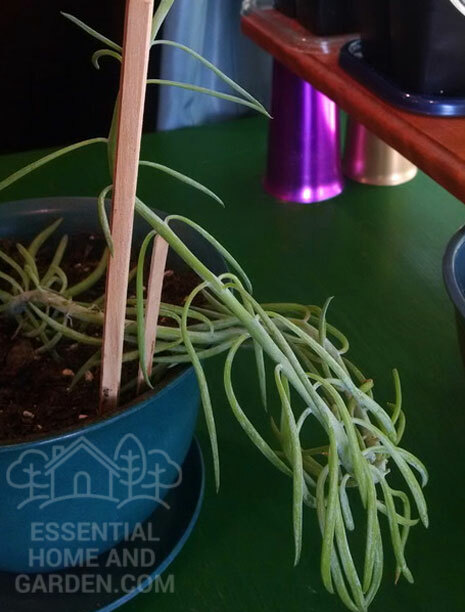 When you have removed the lower leaves, your succulent will be left as a rosette of leaves on the top on a long bare stem. Use a pair of scissor and cut the rosette off about half way down the stem. Now we need to let place the leaves and rosette in a cool dry place and let the ends dry out a bit and callous over. Do not skip this step, it is very important. Once the ends are dry enough, then can be placed on some cactus soil. Make sure it is well drained. Place the leaves on the soil indoors near a window. It will take a few weeks, but you will start to notice little roots growing from the ends of the leaves. After that you will notice little plants growing, they are so cute – just like a mini succulent. You do not need to water them much at all up until now, if you feel the need to then make sure it is with a light spray only that will not dislodge the leaves. At this point, whenever you notice the soil is totally dry – give them a good soak. Do not water them too often or they will rot and die. Let the plants grow until the original leaf starts to noticeably die off, then it is time to carefully remove the original leaf in the same way you removed it from the original plant. Just be careful not to accidentally remove the roots with the leaf. Not every leaf will grow into a plant, so simply discard the leafs that do not work. You will have plenty from your new succulents to try again with soon! Most of the time, succulents are pest and disease free. But if you do find that your succulent is showing signs of problems, most of the time you can nurse them back to full health. Most succulents dislike extended periods of wet and cold conditions – so keep this in mind when choosing where and when you plant them. During especially wet winters you may notice some black spots on the leaves, just remove these leaves and your plant should be fine. there are however some varieties of hardy succulents that can survive these conditions. 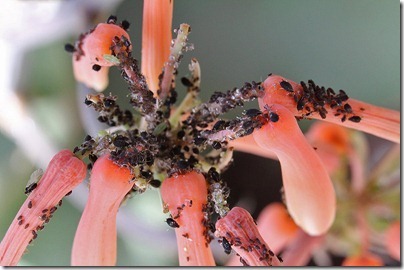 If you notice aphids or mealy bugs then treat them with an insecticide promptly, or if you prefer – go the natural option.